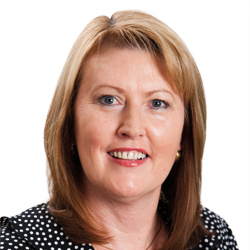 Cathy Mackey is the Head of Shadforth in Queensland and is responsible for leading the team of professional staff in the state, continually focused on the provision of the highest level of service and advice to our clients. Delivering great advice doesn't happen by accident. We are committed to doing all we can to help clients realise their goals and we do this by implementing processes that consistently deliver great experiences. Cathy has 20 years' experience in similar roles within both the financial services and medical professions. She spent over six years as an Operations Manager for the Eye Centre, Gold Coast and more than seven years as Executive Manager – Operations for Whittaker Macnaught. Cathy joined Shadforth Financial Group in March 2011, seeing the opportunity to utilise and also improve her skills in a motivated and successful business. Cathy holds a Diploma of Management through the Australian Academy of Business and has also previously undertaken studies in Human Resource Management at Southern Cross University.